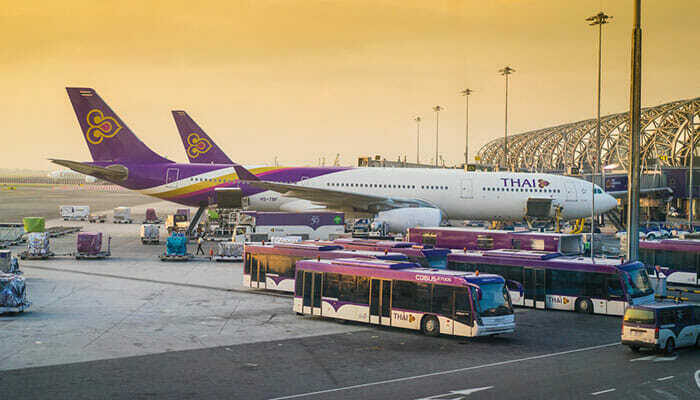 Thai Airways plane in Suvarnabhumi Airport © Nok Nok / Shutterstock, Inc. 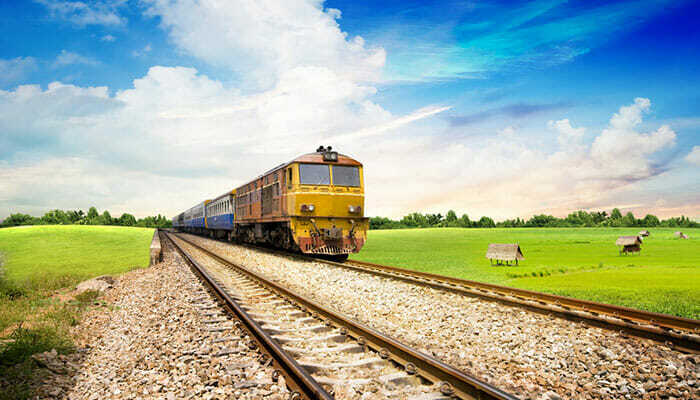 Sometimes it’s nice to get to your destination quickly though, so if the cost has not already dissuaded you, you can get a flight from Bangkok to Koh Phangan (arriving in Koh Samui) with Bangkok Airways. It is the only airline available to Koh Samui but the good news is they have frequent flights, departing almost hourly from Bangkok’s Suvarnabhumi Airport. Once you’ve landed in Koh Samui the Big Buddha Pier is close by for catching a ferry over to Koh Phangan. The fast ferries take about 30 minutes and usually the last one of the day will depart at 6.30pm except for during the Full Moon Party when they run all night. 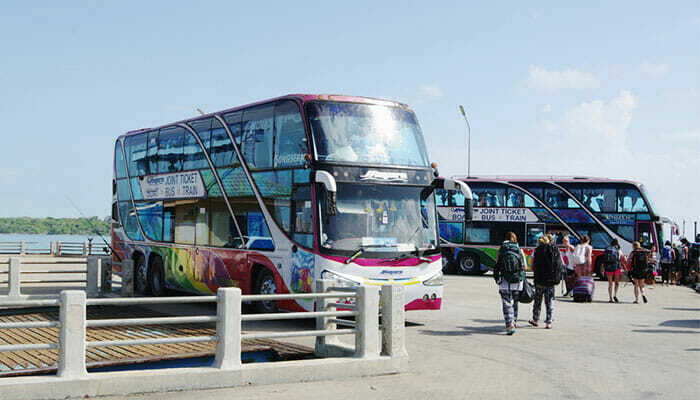 Bus transfer from train station to Surat Thani Pier © HGalina / Shutterstock, Inc.